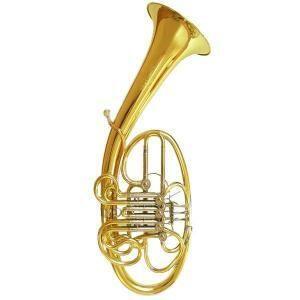 Full double Wagner Tuba Bb/F, yellow brass, (GB-leadpipe), appropriate to 1st ,2nd and 3rd Tuba part. 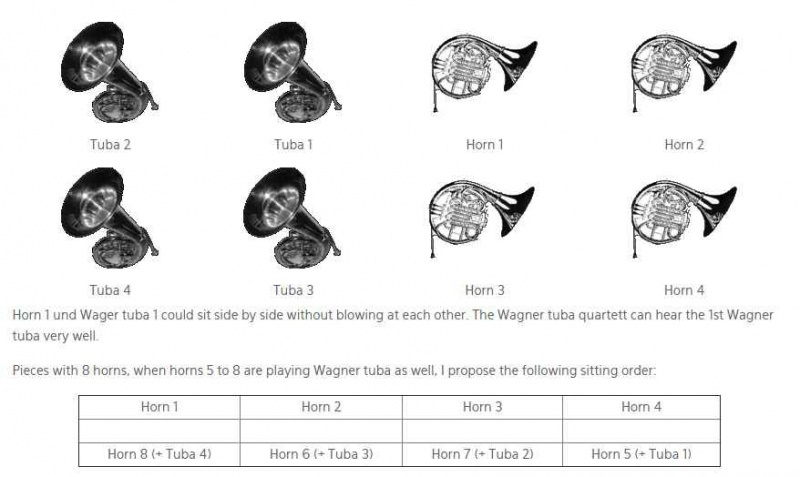 Formcase, silk plush, for Wagner Tuba, oil shelf (extra option). he left hand grasps the first branch of the Wagner tuba which has approximately the same diameter as the grip on a horn. Thumb and main levers have the same position as on a horn. The mouthpipe is bent in a way so not to have to stretch the head upwards. The whole instrument is ergonomically balanced and you can see the conductor, as well. The resulting bell direction has more advantages than disadvantages.